We are living in an innovative world, which means that it is often the norm to update our smartphone device in order to get better phone performance as well as the powerful cameras. 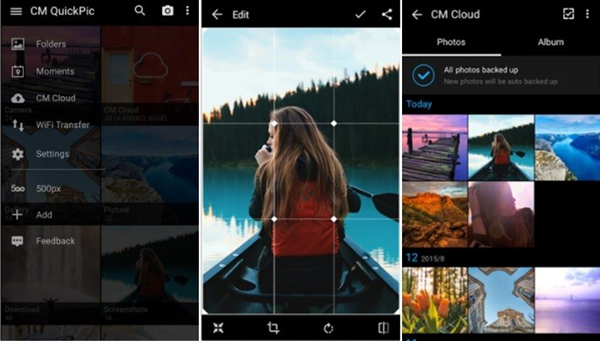 Concurrently, we are trying to find the best Android gallery app among a wide range of quality gallery apps so as to organize well our photos taken with the best camera app, and the following are considered as the best 10 Android photo apps. This is a lightweight gallery app for Android. Over 10 million users are using the QuickPic because of its fastest experience as well as the impressive optimization for user-interface. Meanwhile, it is quite helpful for large-screened devices. There is multiple finger gesture that is helpful for hiding your private files. You enjoy the features it provides, such as an incredible image editor, creating additional folders and supporting multiple online apps. This app comes with the full-feature of gesture. Impressively, the Piktures can efficiently manage and organize your gallery. 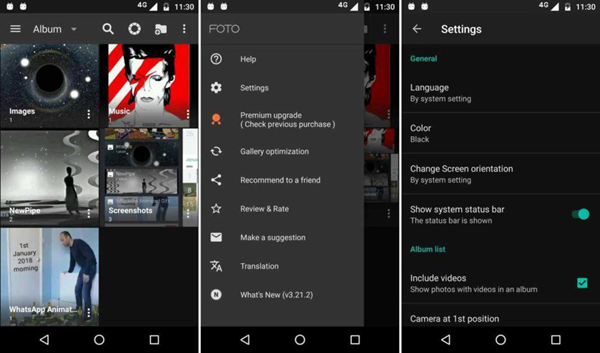 This Android gallery app comes at the top 10 best Android photo apps because it is incredibly simple, free to operate as well as fast. 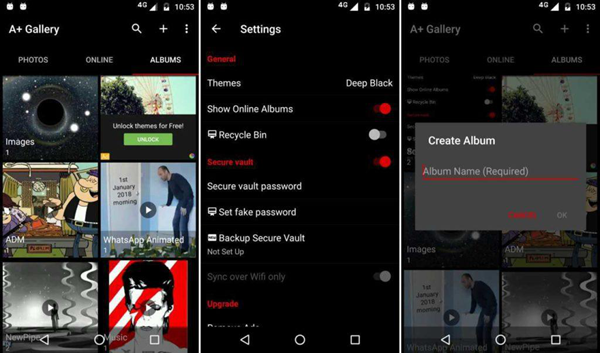 You can easily hide albums, create a new folder, exclude unwanted folder and quickly get the access for cloud service with this app. It allows to manage or organize your gallery with ease. It comes with the ease of view browser HD photo, manage albums and searches your desired picture. You can manage your album, HD photos, and search easily at high speed. The A+ Gallery automatically organize your files through location and date. In short, you may find different types of albums such as grid and list view. Moreover, this app supports users sharing a photo to Amazon Cloud Drive, Facebook, and Dropbox. This app is lightweight and is quite reliable for everyone. It comes with the feature of fast loading capabilities so that your albums are organized clearly. 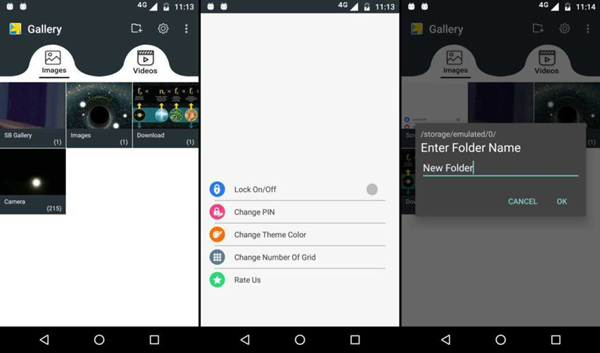 By using this gallery app, you can easily hide your private folder, scan folders, add a new folder as well as change the app theme. This app is rich in optimized feature and has a beautiful material design. It is totally free, which means that you don’t need to pay for anything. 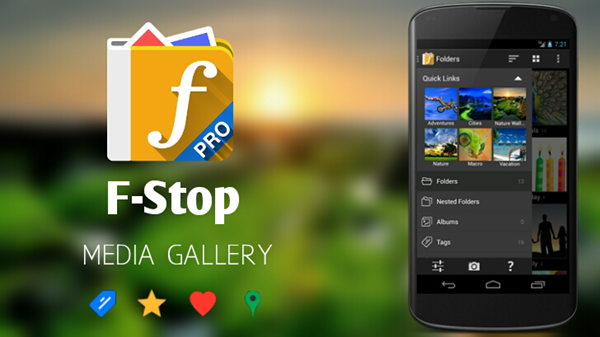 F-Stop Gallery comes with the quick search feature for folders, save tags and bookmark. With the help of a new button, you can even quickly load the media. Through its name, we can assume that this Android photo app is quite simple to use. You can quickly scroll down your files because the file comes with the size, date, and images. There are multiple of columns such as the videos, images, and GIF. Additionally, this app comes with new changes like the view type and folders. This app is primarily designed for enhancing performance and speed. You may find an intuitive and smooth interface. You will never face any issue while in finding the files because they come with the size, name, and date. The Camera Roll Gallery comes with essential functions. You may add different features, for instance, you can customize the main page style. 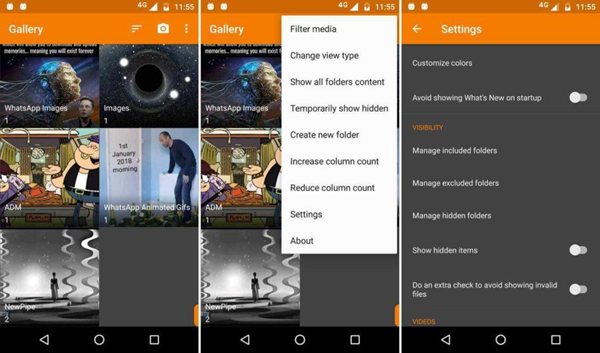 This app is also considered as the best gallery app for Android because it consists of two sections, the videos, and images. 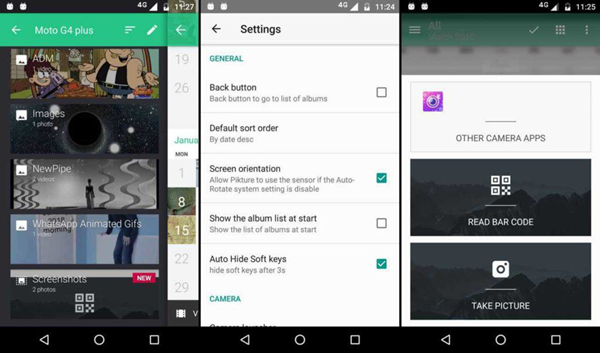 With the help of this app, you can create an album, change the sort of file and easily view the themes. MyRoll Gallery app comes with the function of the inbuilt app lock, so you can keep your private photos safe with this gallery tool. 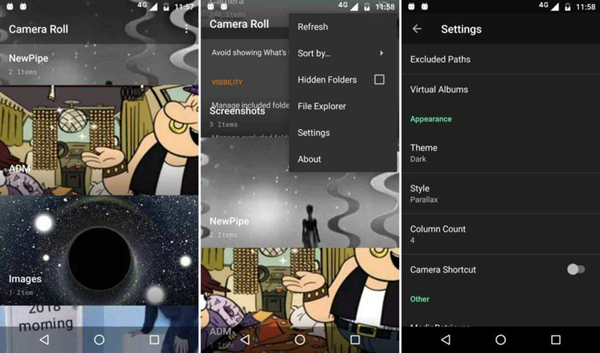 You will never face any difficulties when you are using this picture gallery because you can easily operate this app. The Focus Picture Gallery app comes with the incredible feature that enhances the efficiency and speed, and it supports the videos, GIF or the photos. You can easily organize your main page as well. 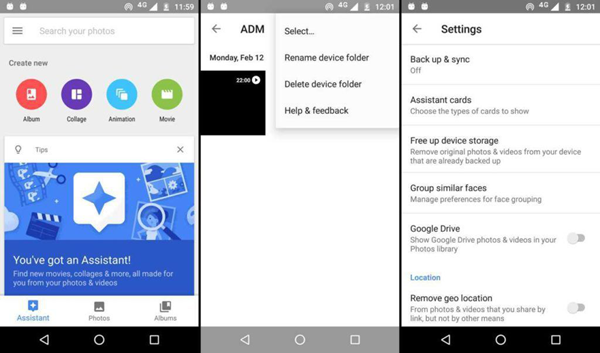 It has an advanced storage technique that is developed with the help of Google. 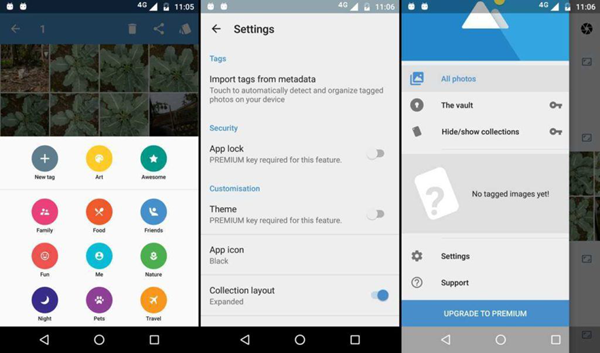 Through this app, you will get unlimited storage for videos and images. The best part of this app is that it comes with the larger consuming drive. 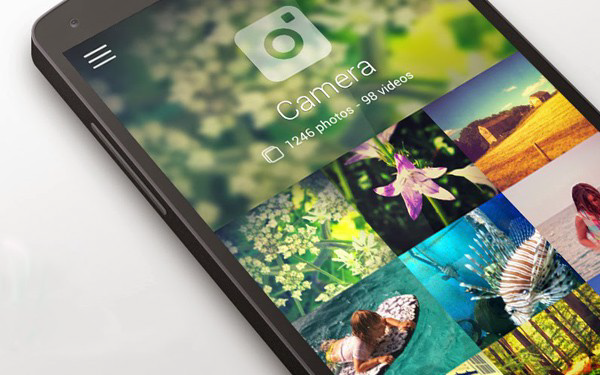 These are the top 10 photo apps for Android. Many devices have an incredible camera but you always in need of finding the best Android photo apps. So consider these gallery apps if you want to keep the precious moments in the best way. And if unfortunately the precious photos are lost due to wrong deletion or factory reset, you still have a chance to recover deleted photos from Android with Android Data Recovery.